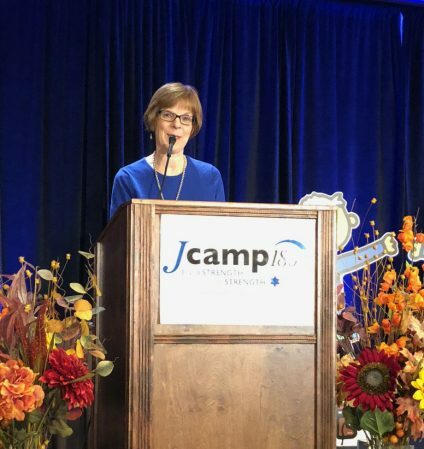 Congratulations to our own Sharon Rosenfeld, Director of Development at Ramah Darom for Receiving the Outstanding Development Professional Award at the JCamp 180 Conference, a program of the Harold Grinspoon Foundation! 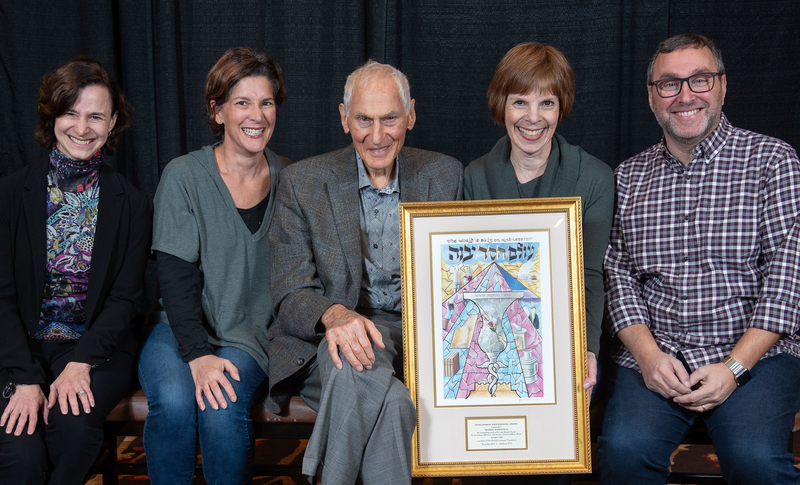 From Left to Right: Winnie Sandler Grinspoon, President of Harold Grinspoon Foundation; Robyn Diamond, Marketing Director at Ramah Darom, Harold Grinspoon, Sharon Rosenfeld; and Wally Levitt, Ramah Darom’s incoming CEO. 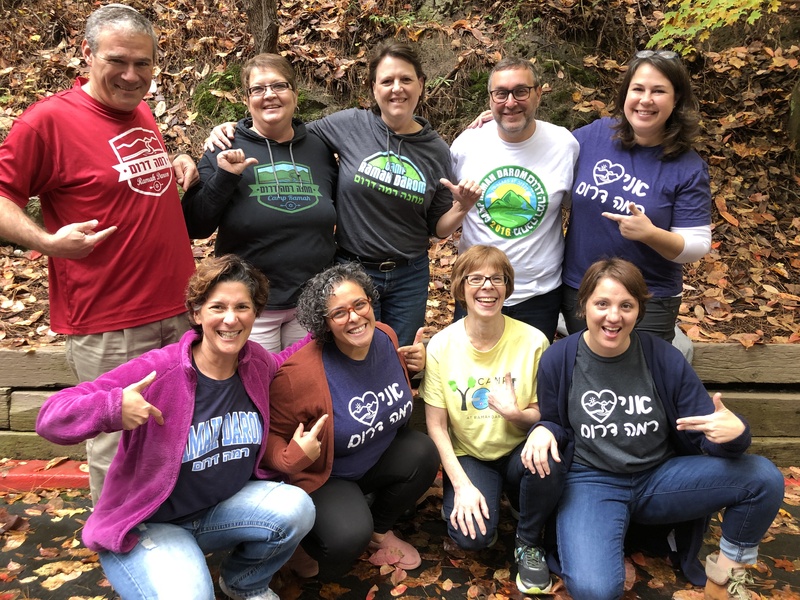 The Outstanding Development Professional award is given each year to the camp development professional who has made a significant impact on a Jewish camp’s long-term vitality and sustainability through increased cultivation, solicitation, and/or stewardship efforts. The award winner represents the highest values of the fund-raising profession and the Jewish value of tzedakah. Over the past two decades as the Development Director of Ramah Darom, Sharon has led the effort that raised over $15.8 million for capital projects, built our Endowment Funds up to $3.7M, and secured over $900K in grant funding. Under Sharon’s leadership, we have also raised over $1.25M for Camp Yofi – Ramah Darom’s Family Camp for families that have a child with Autism Spectrum Disorder, more than $104K for the Andrew Silvershein (z”l) Scholarship Fund, and annual campaign funds since 1999 totaling $5M. Her efforts address the needs of the camp facilities (both maintenance reserves and capital improvements) and provide funds for general and targeted scholarships as well as designated and specialized needs. 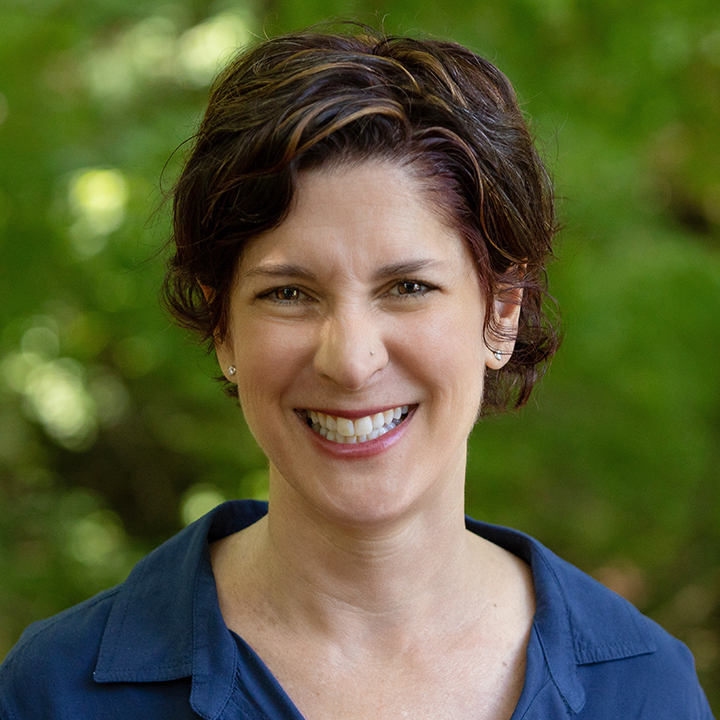 Sharon has been instrumental in the creation and success of the Ramah Darom’s Legacy program and, serves as both a passionate spokesperson and ambassador for Ramah Darom with everyone she meets. Sharon giving her acceptance speech. “I am very proud of the work that we do at Ramah Darom. We transform lives one at a time, we build community, we strengthen the Jewish future and I am so privileged to be part of this. I am truly touched to receive this honor,” said Sharon. 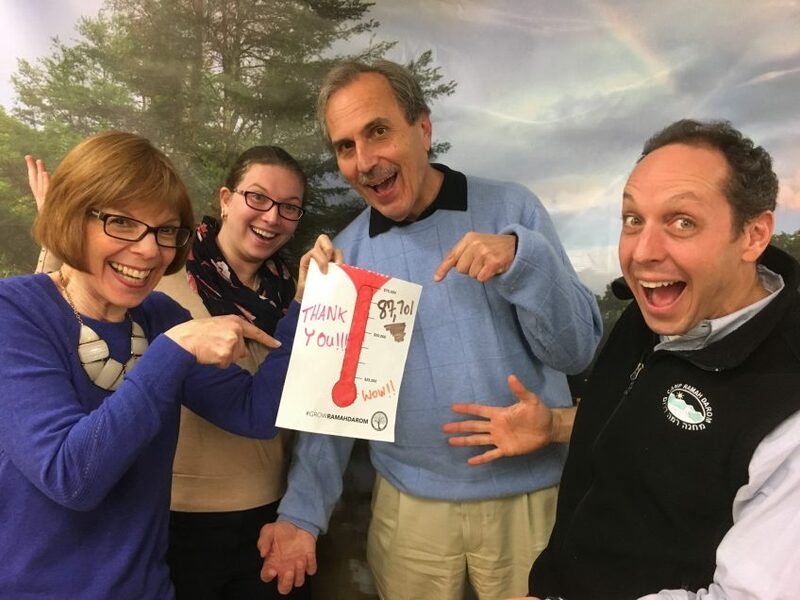 Sharon and co-workers celebrating reaching Ramah Darom’s Giving Tuesday goal for 2017. 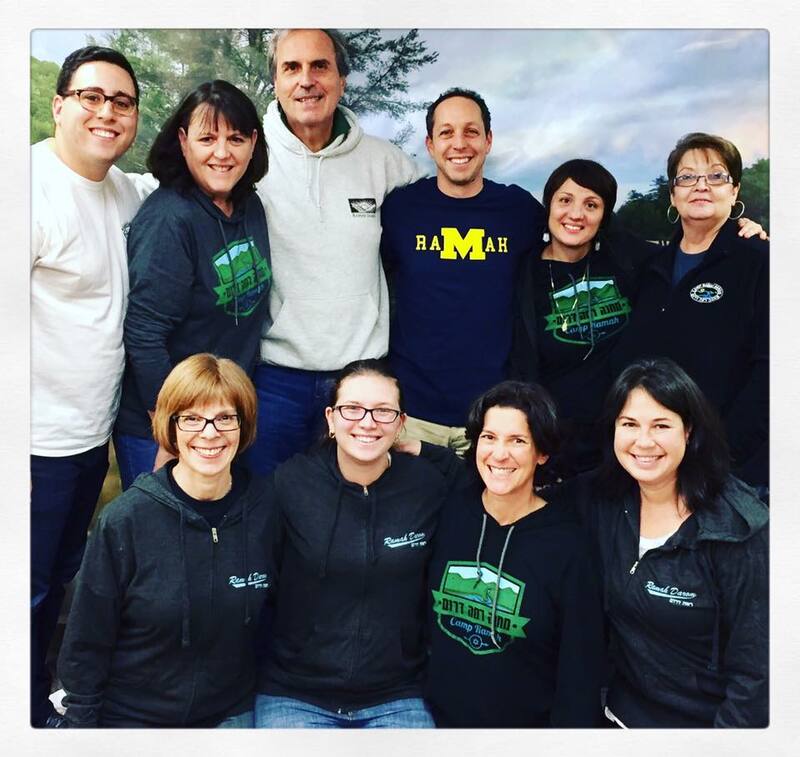 Sharon (in yellow) with Ramah Darom Staff and Betsalel Steinhart, Director of Ramah Israel Institute (far left) on #ramahtshirtday 2018. Sharon and Fred embrace after his introduction speech. “Sharon has amassed a long list of measurable and significant accomplishments but she does so much more than simply raising funds,” said Fred. 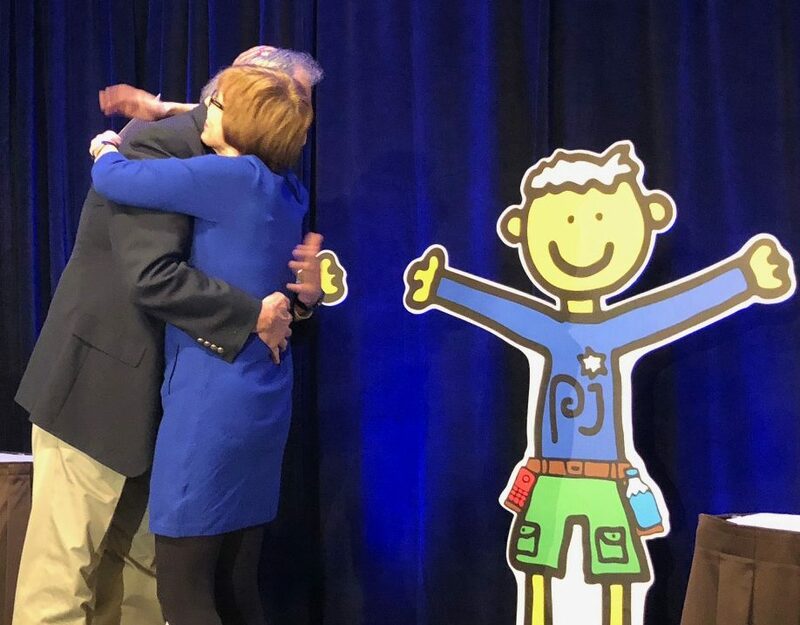 “She is the office mediator and mother, giving everyone a big dose of compassion and tough love when needed; she makes sure that we celebrate the happy occasions and comfort others during the difficult and painful ones.” Read Fred’s full speech. On behalf of the dozens of volunteers and board members who have worked with you at Ramah Darom, your co-workers and colleagues in the Ramah Movement, and all those who share in the vital work of assuring the continuity of Jewish identity, people and culture through transformative experiences, thank you and Yishar Kochech. You have shown us in your humble and gentle way what it means to be an outstanding professional. Congratulations. Help Us Grow Ramah Darom!